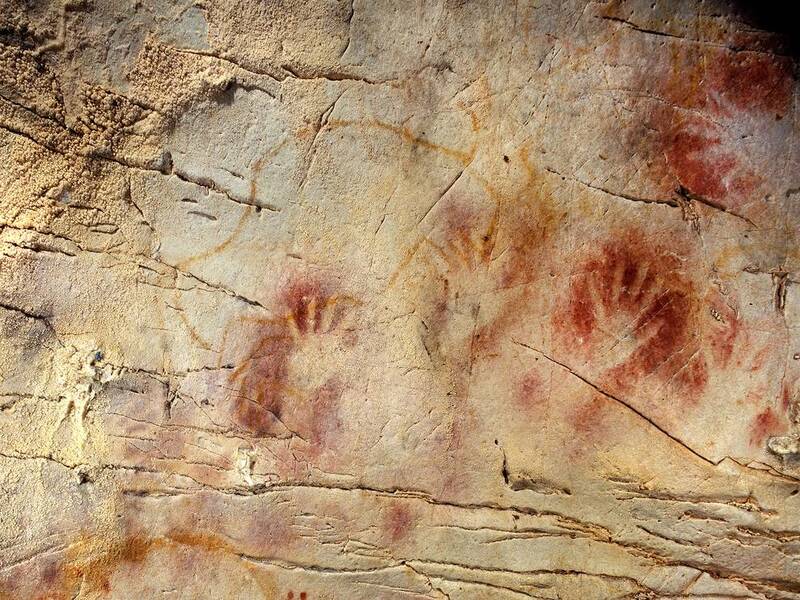 Archaeologists argue the actual date when the first painter stenciled his hand onto cave walls, somewhere in the vicinity of 40,000 years ago. Earliest man was compelled to make a mark, to leave something behind. A memory of him. A gift to us. The human hand is a powerful symbol of our human potential. Flesh and blood, our life coursing through our veins, from our hearts to our hands, and into our sensitive fingers. Touch is how we experience the world. The hand can reach and grasp: a tool, a paintbrush, a pen, a weapon. Perhaps its greatest strength is what it conveys through gesture, in both the secular and sacred world. Our non verbal communication is a affirmation that something beyond words connects us. The symbolism of a hand gesture may only be within the context of esoteric rite or ritual and known only to that community. Or, it may extend itself to the global family. Our communal symbols and signs are how we experience the world. From the shameless to the sublime, we know what gestures signify. It is the rudeness of giving someone the proverbial finger. Thumbs up, thumbs down. The calm of the open V peace sign, the power of the fist clenched in solidarity. Deliverance. Defiance. The Hindu and Buddhist mudras. Hands in prayer. The bending of ring finger and pinky in benediction blessing as a sign of the Trinity. A kohen (priest) forming the Hebrew letter “Shin” with both hands, fingers split (“shin” also represents the word Shaddai, a name for God) to confer a blessing. In an episode of television’s Star Trek called Amok Time, Leonard Nimoy‘s character, Mr. Spock, half human, half alien, is introducing us to other people of his Vulcan race. We are glimpsing an alien greet his alien community. To signify the moment, and to create a richness of their culture and civility, Nimoy created the single hand, split finger version of the kohen’s Hebrew blessing he had seen as a boy. 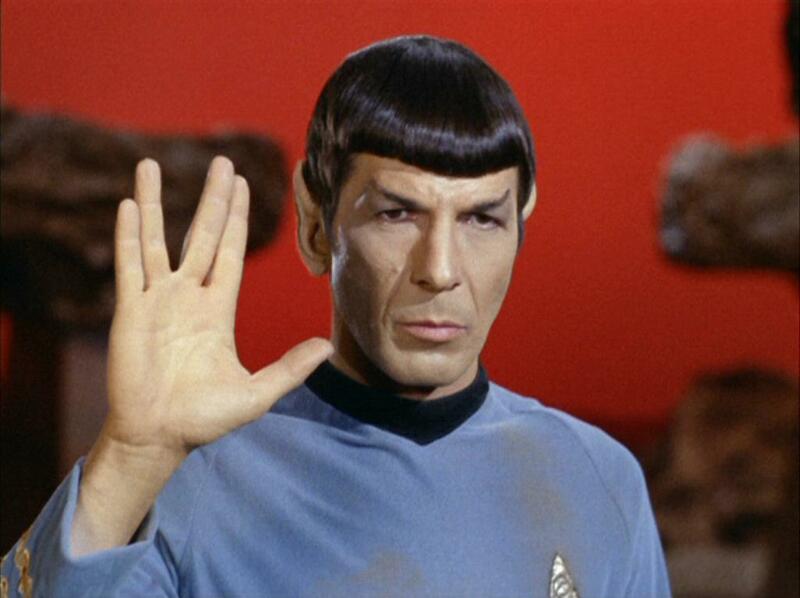 The Vulcan race, with its manner of ritual, of greeting, of community, offers the sign to one another with its message: “Live long and prosper.” It was the power of the hand, the strength of its gesture. Nimoy said that it “touched a magic chord.” It did. We immediately understood. Leonard Nimoy died on Friday, February 27, 2015. He was 83. He has left his mark, his memory, and his gift to us, in that same unending way as the early man stenciling his hand on a cave wall. To the far reaches of space, where words and time hold no sway, the enduring image remains. 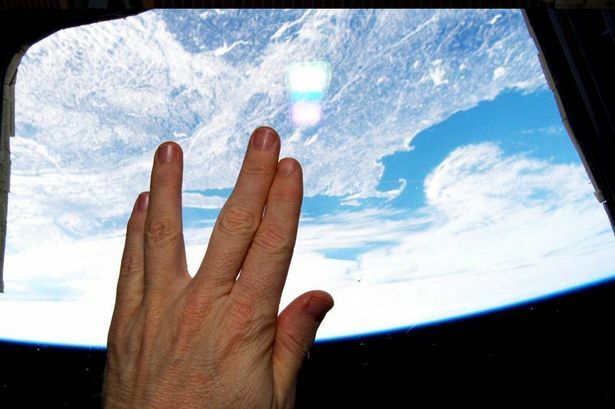 Orbiting 250 miles (400 km) above earth on the International Space Station, NASA astronaut Terry Virts commemorated the passing of Leonard Nimoy with the Vulcan hand gesture. 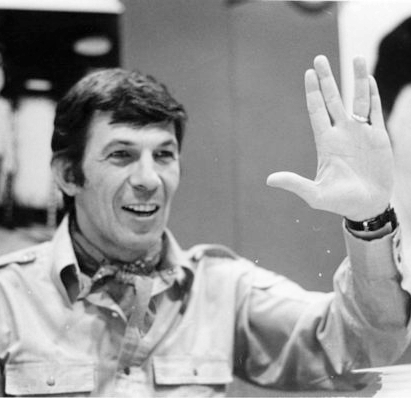 To the right of Virt’s hand is Nimoy’s home state, Massachusetts, though Leonard Nimoy’s world would become so much bigger. We give the greeting to Mr. Nimoy, who gave it to us, this one last time. We offer it in softest silence, as he, now with his fully human heart at rest, makes his voyage to the eternal frontier.